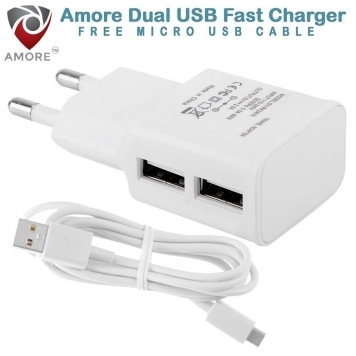 Features: Dual Port Wall Charger with AUTO DETECT TECHNOLOGY CHARGER: The Ultimate answer to your charging needs, the compact Amore dual port wall charger is safe and smart, charging up your devices to be ready and go in no time. Smartly integrated IC intelligently detects the device connected in each port while also identifying the appropriate current, to charge each of your device optimally at their fully intended speeds up to a total of 2.1 A. Smart Charge Device:: Smart charging circuit can output 2.1A in one port and 1A in the other port, depending on the connected device, thus allowing you to charge your tablet and phone simultaneously to a combined output of 2.1A. Universal Compatibility:: Charger is suitable and appropriate for use with different cables ranging from Micro USB, lightning cable, type-C cables to reliably charge any of your devices. The wall charger is compatible with all mobile phones. 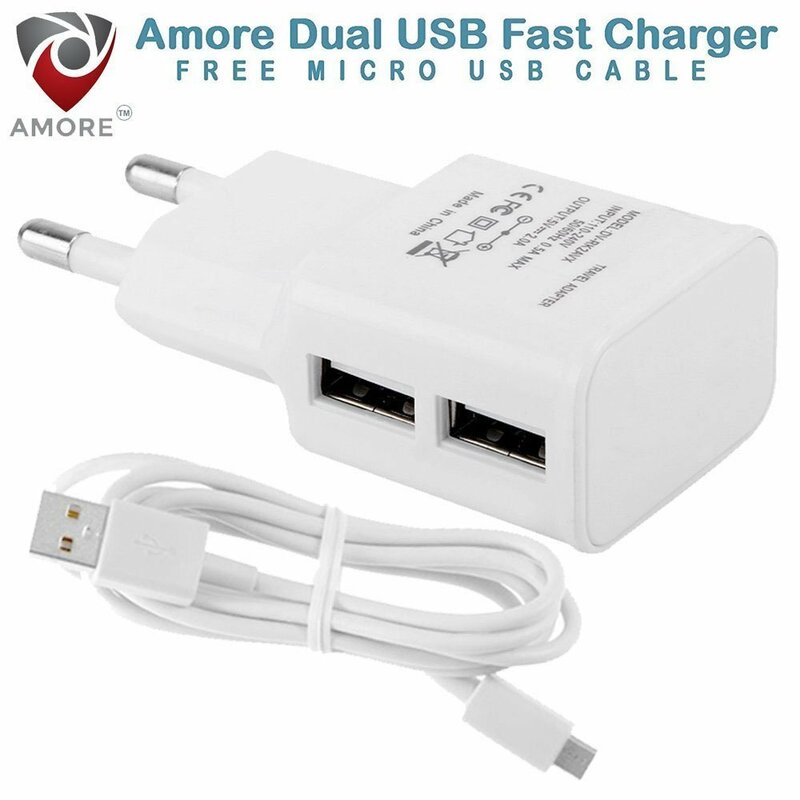 Perfect for Travel: Compact and minimalistic design, the Amore wall charger fits in the palm of your hand and can be conveniently carried in your purse. The Indian plugs eliminate the need of an adapter and make it perfect for travel.